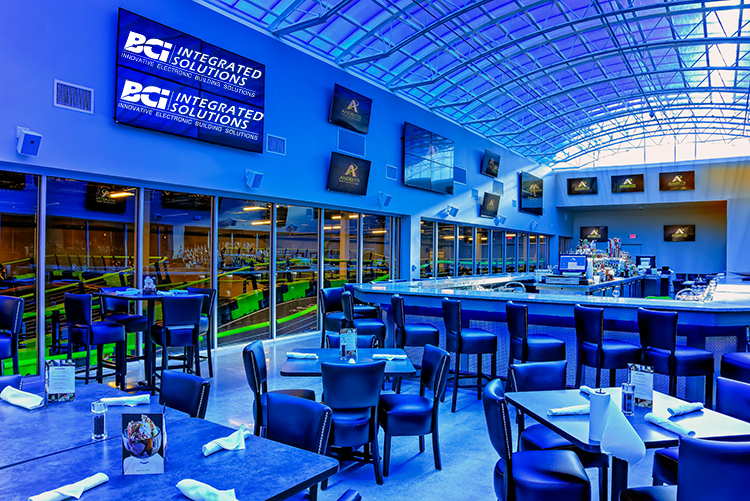 Andretti Indoor Karting & Games Orlando features exciting driving tracks, a bowling alley, a variety of dining and drinking options like the Andretti Grill and Sky Bar, a laser tag arena, and an arcade. A lot of technology went into preparing the facility for its late 2017 launch, and helped make it a huge success. 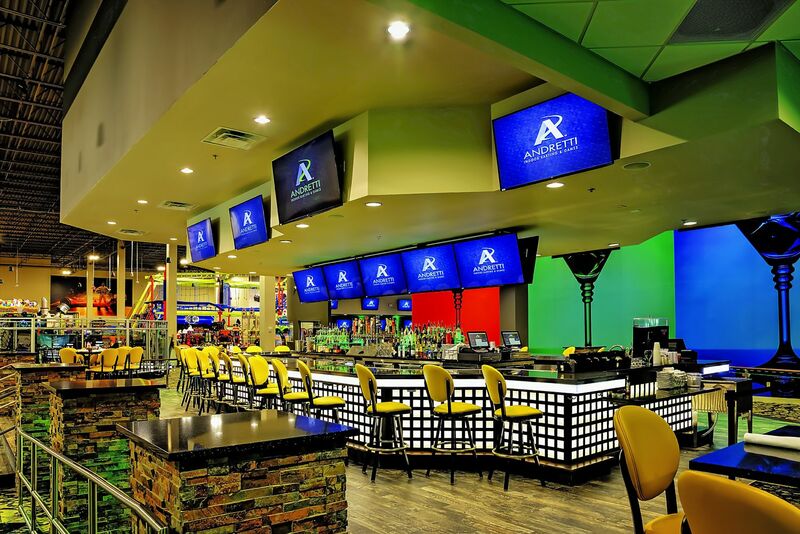 We designed and installed high-end security, audiovisual, and monitoring to help make Andretti Indoor Karting & Games Orlando a lasting success. Your business could leverage the same tools to improve, whether you run a restaurant, hotel, club, school, or other commercial facility. Andretti Indoor Karting & Games prides itself on providing “excitement at every turn” to its visitors, and the 150,000 square foot entertainment complex reinvents the concept with its two-story laser tag arena, three indoor karting tracks, a 12-lane bowling alley, a ropes course overlooking an impressive arcade, and the signature Andretti Grill. One of Andretti Indoor Karting & Games’ new neighbors on the expanding Universal Boulevard is a Top Golf scheduled to open in 2018, but a new Universal Studios theme park looms on the horizon, according to Orlando Weekly. We provided a host of AV systems to help turn Andretti Orlando into a huge attraction for the area. Security systems, including camera installation, video management, and access control systems. BCI designs and installs your system in-house with our engineering team, and our technicians are the best in the business. We coordinated our technology offerings to Andretti Indoor Karting & Games Orlando’s specifications. We provide the same service to each market we service, and we can give you the same attention and coordination whether your project is a small audiovisual installation or an integrated system venture. Find Your Custom-Made Technology Solution With Us Today! We’re happy to have helped make Andretti Indoor Karting & Games Orlando’s launch a wild success, and we’re ready to help you. We maintain offices in Orlando, Fort Myers, and our headquarters in Tampa. We’ve performed installs across the country, and in Mexico, and our integrated solutions menu ranges from a complete audiovisual system upgrade to any of your security, data network, life safety, or service needs. Start building out your apartment complex, corporate headquarters, school, or other business now with our premier technology installation and long-term support. Contact us today.